Look like things at Symbian side happening at pace finally. In recent days, we seen them pretty busy updating devices etc. 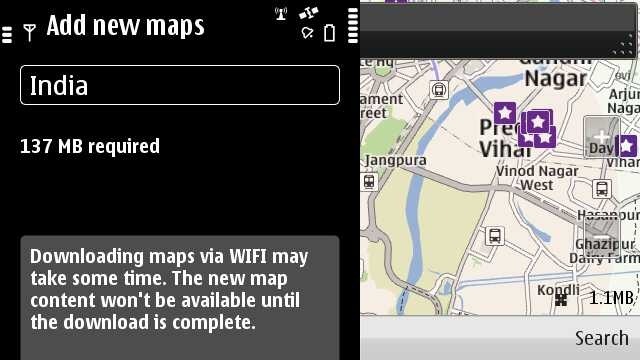 Last night, there was a minor update for Nokia Social and now here in noon, we got an update for Ovi Maps 3.06. Yes! 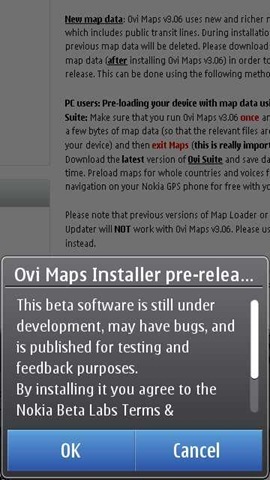 its still from beta labs and we have not got the version 3.06 pushed into final version, means you wont get this update via OTA or software update and you have to download it via Betlabs only. Though for your help, here is the direct download link. For the full details of what the update brings for you other than the usual bug fixes, you should head on their official blog post on it. 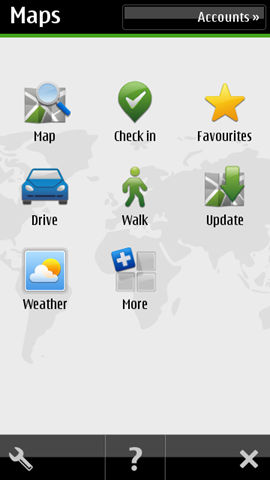 Highlights are ..
An update icon in the menu to enable the user to download the street maps directly into the device without need of some PC. Though the same feature is available over Wi-Fi only. Note: You need to put your Wi-Fi connection in Internet folder. My Position and Search are now integrated (now called Map). 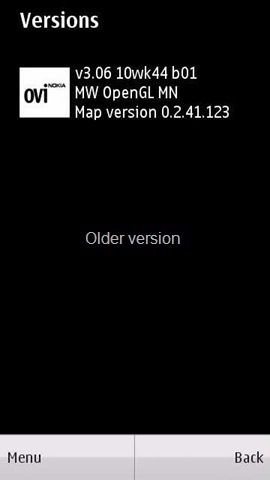 When accessed, it will show your last map view. 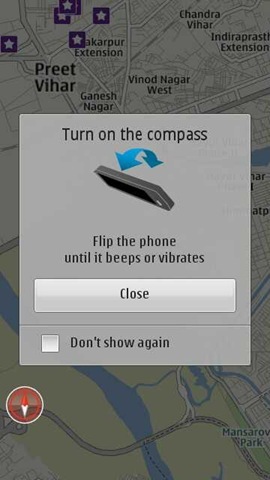 I also noticed the compass notification, which says that flip your phone to use the compass.. cool.. at least over WiFi tethered from JoikuSpot on Nokia E5-00 (MTNL 3G) connection). Following was the compass hint. Cool and simple. 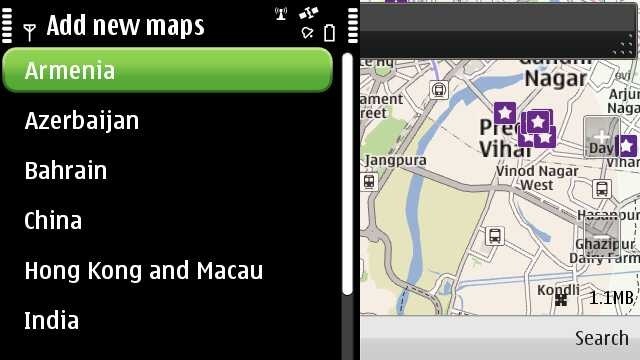 Also note that Ovi Maps v3.06 uses new and richer map data which includes public transit lines. 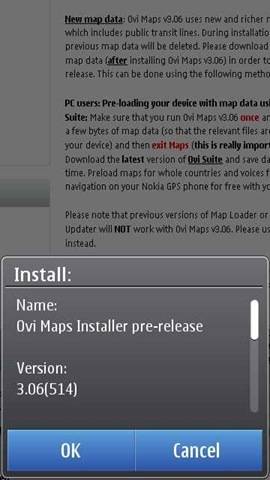 During installation, your previous map data will be deleted, but please note that if you have previously used Ovi Maps 3.06, your Map data will not be deleted after installing the updated release. Please note that S60 3rd Edition, FP1 or FP2 devices (non-touch) are not supported in this release. Unsure about the platform of your Nokia device? Click here and find out. 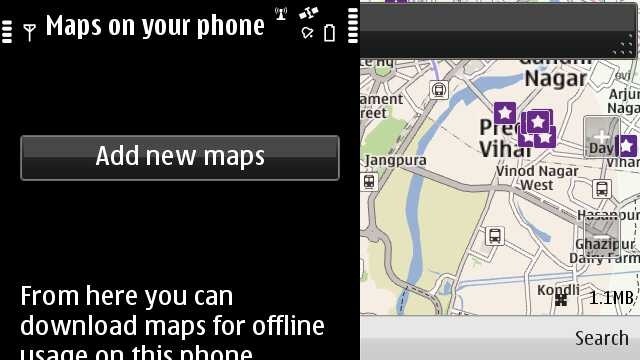 The previous versions of Map Loader or Nokia Maps Updater will NOT work with Ovi Maps v3.06. Please use Ovi Suite instead. So, have you updated yours yet? loved the detailed information given on your blog about new ovi maps. 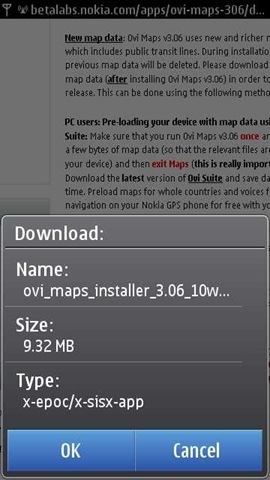 But my problem is, nokia ovi suite is not downloading the map on my mobile (5800). 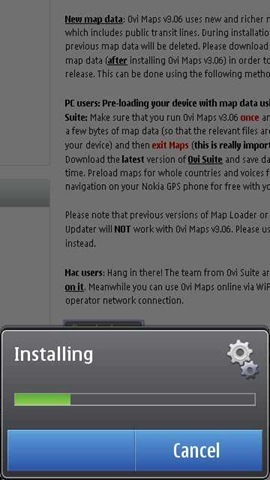 Ovi suite works perfectly for everyting else, like sync and music and all, but it is not downloading maps to my mobile. Please give me a solution to this.